Gender inequality is a global problem. 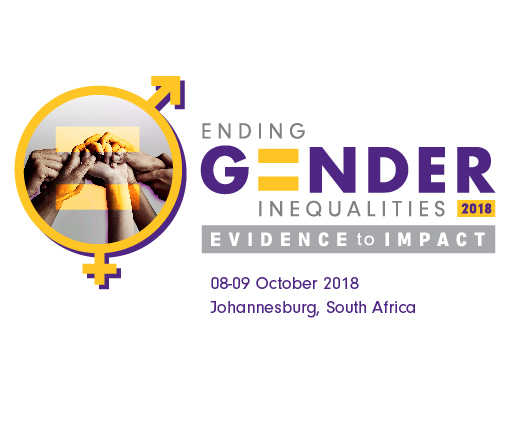 Join us for the second Ending Gender Inequalities Conference, 08-09 October 2018 in Johannesburg, South Africa. Enhancing knowledge of recent progress in research, practice, and programs to eliminate global gender inequality. Fostering collaborative networks to share successes and challenges in implementation and sustainability of evidence-based gender programs. Strategizing solutions to promote gender science that address global disparities and innovative technology when working with key populations. Conference registration is separate from abstract submission, and all those who wish to attend the Ending Gender Inequalities Conference, including presenters, must register! If you submit an abstract presentation, you will be sent an email reminder with a conference registration link. *We will use the World Bank current classification of world economies to determine low- or middle-income country status. Conference registration closes 14 September 2018. For any questions related to the abstract content or review process, or the Gender Conference, please email gender@rti.org. For any questions regarding the abstract submission, or to report any problems with this website, please contact the Webmaster, Debbie Kulik, at dkulik@rti.org.